The most non-confrontational and fun of all our student ministry meetings is our Second Sunday Super Surprise (S4); typically held on the Second Sunday of every month. The S4 event is nothing more than an open house/outing where parents can know that we will have full supervision and opportunities to just come and hang out with their friends. Events range from basketball games, beach parties, Canoe trips, etc. There is no lesson being taught, just fun times. 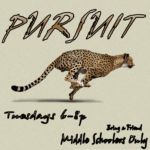 Middle schoolers have a night all their own called PURSUIT on Tuesday nights from 6-8pm in the Student Center (AKA Building C). It’s social time, fun games, and a short lesson at the end. We even have a small snack shack to purchase a snack from or a light dinner. If you’re a high schooler and you like fun then Wednesday night is for you. 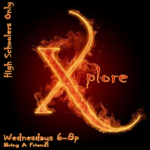 From 6:00 to 8:00 pm in the Student Center (AKA Building C), we will play games, sports, and other activities that you will enjoy with your friends at our XPLORE Meeting. We have our snack shack stocked with fries, candy, chips, and soft drinks, for a nominal charge so you might want to bring a little extra money. We’ll all get together for a quick bible lesson to get you going through the rest of your week. 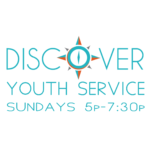 If you need a little more depth, then come out on Sunday night for our Youth Worship Service called DISCOVER. 6-12 graders will share a free meal together, worship together, hear from the Word of God together, and then converse together in small groups depending on grade. Those times are Sundays from 500p-730p in the Student Center (AKA Building C). 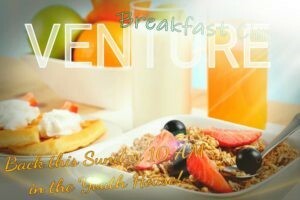 We have a program on Sunday morning called VENTURE BREAKFAST CLUB which feels sort of like a Sunday School. Students of all grades 6-12 are welcome to venture through the bible together each Sunday morning. This meeting occurs at 10AM in the Student Center (AKA Building C). We share breakfast together every morning with items such as fruit, granola, and cereal. On the first Sunday of the month, we bring in Dunkin Donuts. Come join the Venture! We hope that you will find a place and meeting that is just right for you. We have over 80 teenagers a part of our ministry but there is not a meeting with more than 30, and of course, there is always room for more. We encourage you to join us sometime this week and check us out!!! Need an emergency release form? Click Here to Download: Remember that it need to be notarized and it is good for one year. For the latest in student ministry news, visit the Current News Page each month. Click Here for the Sunday Night Parent Dinner Schedule.